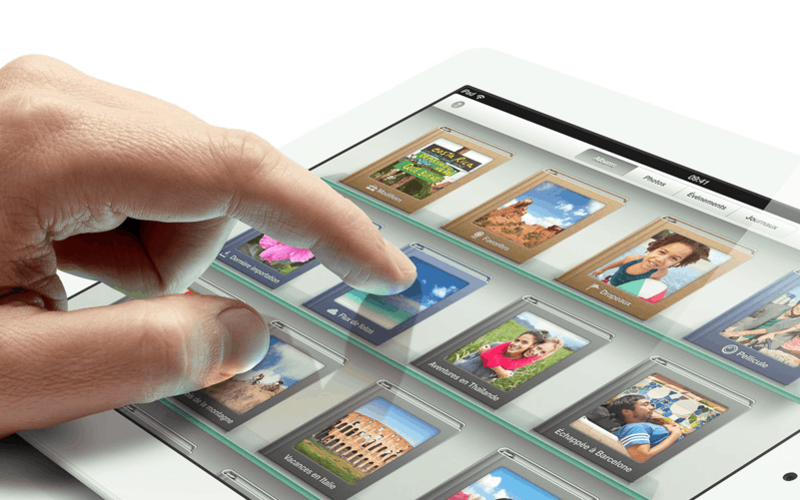 Purchasing the 3rd generation iPad for me really came down to one factor, Retina Display. At the time there really wasn’t any other tablet that offered HD displays and though I really wasn’t a Apple user at the time, I wanted one thing for my tablet and that was to have the best possible looking screen I could get my tech greedy hands on. To this day I’m still impressed with each mobile app or game that makes use of the Retina display with its almost 3D looking display. So if you have a iOS device with Retina display, be sure to check out some of these games as they sport some of the best visual display on any tablet in the market. As far as the order of the games, I did try to put the most visual appealing games at the top of the list. Some of these games draw too close to compare, or use different methods of visual appeal making it very difficult to rate one higher than the other. Feel free to rant, complain, or argue in the comment section. Don’t worry Android users. I’m well aware that Android has stepped up their game with HD displays and I’ll be sure to mention which games are available on Android as well as iOS. 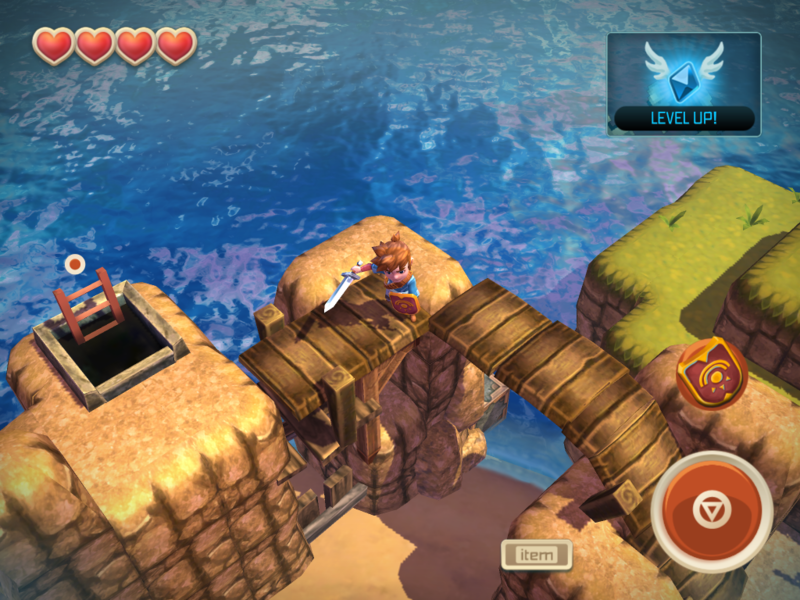 The title of Oceanhorn should give you an idea of what kind of graphical improvements you can expect. The water animation in this game is simply splendid, from the water reflections to the movement of waves you can’t help, but to be a little impressed each time you see it. That’s not to say the rest of the game isn’t visually appealing. Character models have a very high texture quality, the landscape is colorful and everything looks so crisp on a Retina display device. The visuals reminded me of playing Zelda Windwaker HD, it doesn’t have quite that cell shaded of a look and actually may be more appealing to some. I haven’t had a ton of time with the game outside, just to check it out for this article, but from my experience it looks like a pleasant tribute to Zelda games. Right down to picking up Jars and smashing them. I’d say the genre is Zelda, but I’m not sure if that’s a real thing. No doubt many Zelda fans would argue the point. Bastion was a huge success as a arcade game on Xbox Live and was shortly ported to the PC afterwards. 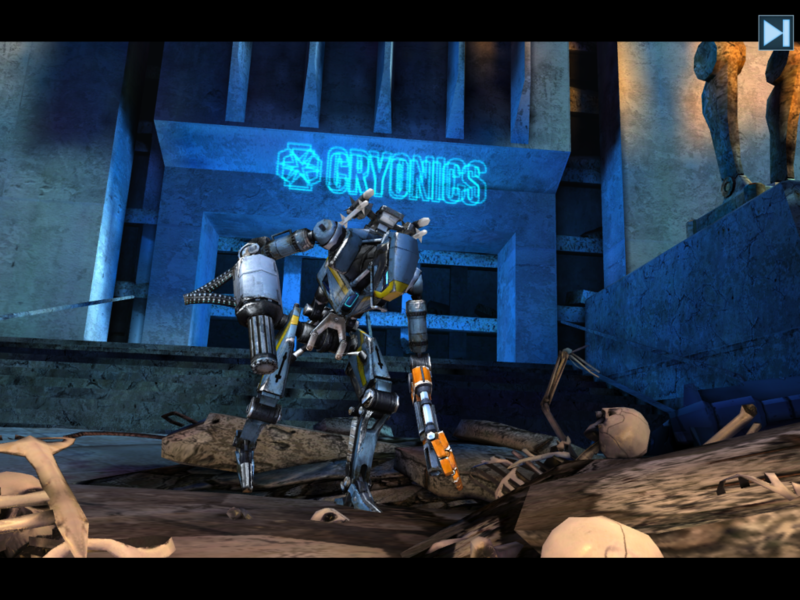 The game has received numerous praise for its outstanding art style and gameplay. From the moment I played the game on Xbox Arcade I fell in love with the art direction and the story of the game, my initial thoughts were “Why isn’t this available on my iPad?” and thankfully now it is. Amazingly the game looks even better on the Retina Display than it did on my 360. 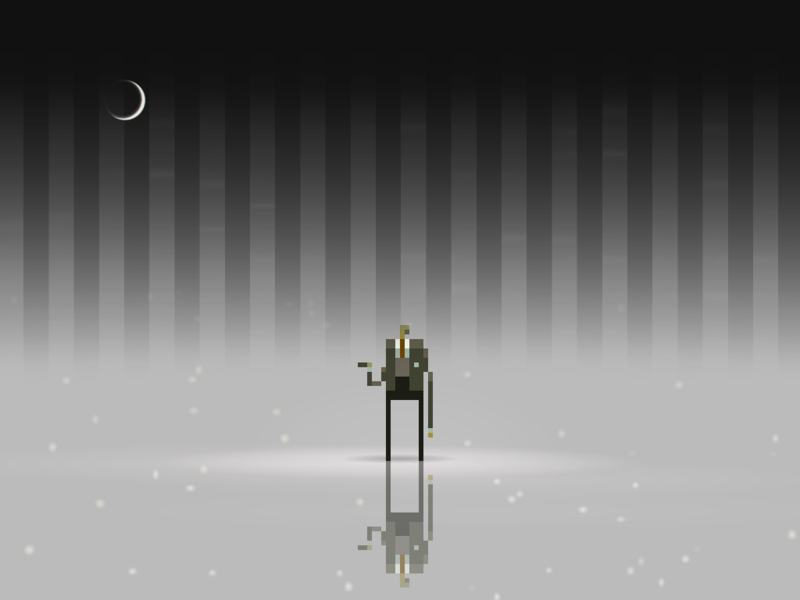 The art quality is so sharp, so beautiful, and just straight delightful to look at on the Retina screen. It almost has a actual three-dimensional look to it and watching as the map forms together as you get closer to the edge is brilliant. Did I mention the environment is also fully destructible? 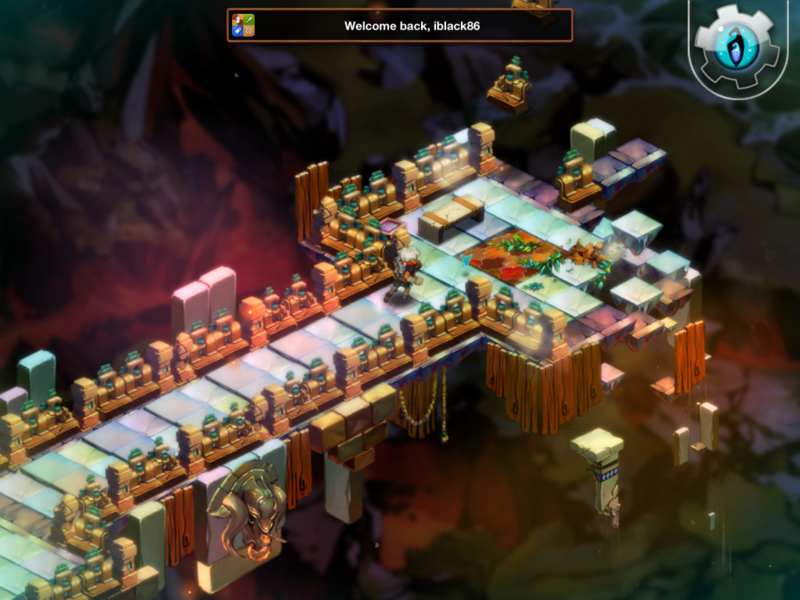 Bastion has received multiple awards and for good reason. This is an all around excellent game and it’s a great way to show off the quality of your display. Honestly, any entry of the Infinity Blade series deserves a spot on this list and a top spot at that. The visual appeal of this game is utterly astonishing, the unreal engine is simply one of the greatest gifts to mobile gaming. 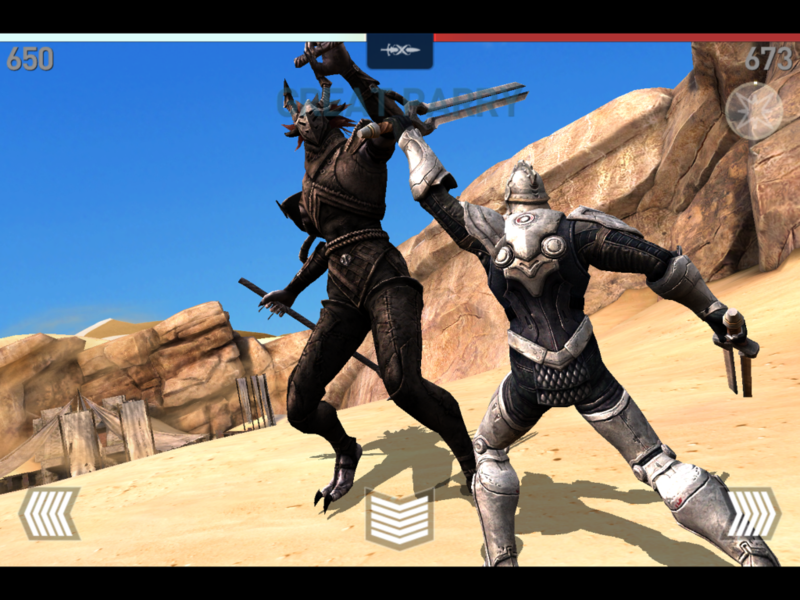 Infinity Blade is the kind of game that you use to show off how powerful and gorgeous your device is. Most say that the game is able to display such high-end looking graphics because it’s more of a “on-rails” experience and to a certain extent that is true. Infinity Blade III offers a multitude of additional features like combos, crafting, multiple characters to help you forget that this enjoyable block, dodge, and slash RPG is a on-rails game. I hope to be able to review this game in the future to provide more details, but for now trust me when I say this game is worth your money. I was one of the many very disappointed PlayStation 4 owners when I found out Drive Club was being pushed back away from the PS4 launch. 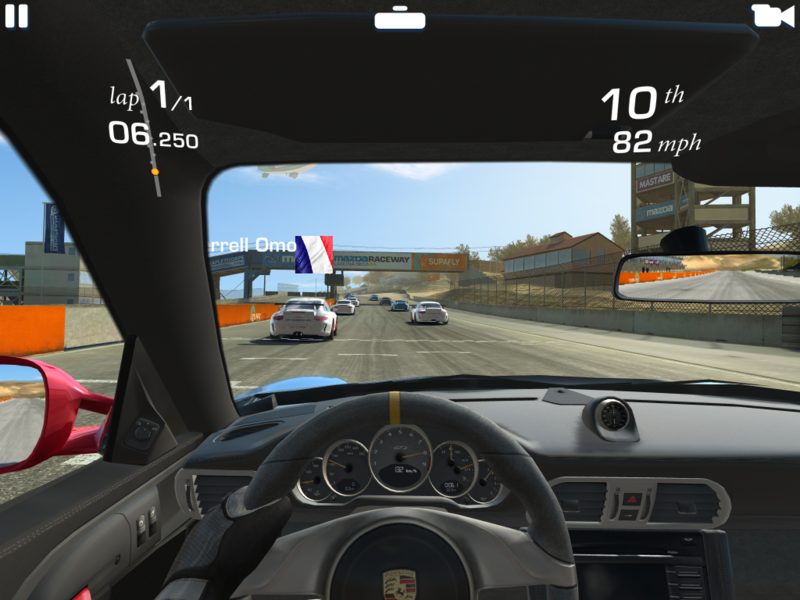 The good news though, is that iOS has a spectacular driving game that offers possibly the best looking driving on iOS. I’m serious when I say the best, this game looks so good you’ll need to double check that you’re using a mobile device playing this game. 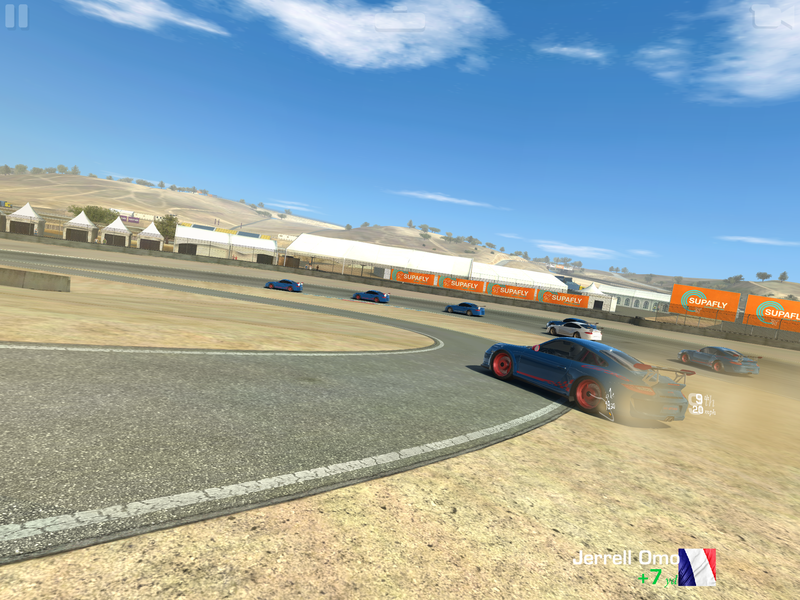 The environments aren’t anything too spectacular as you’re generally racing on deserted tracks, but if that’s what it takes to make the cars look this good on a iOS device, I’m alright with it. Everything about each car is phenomenal, even when you enter the camera mode that takes you inside the car everything in there looks great. Your driver keeps his hands on the wheel accurately to how you’re moving the device and he even has a animation to shift gears. If you’re a car junkie or just a car game fanatic like myself, this is one you have to check out. 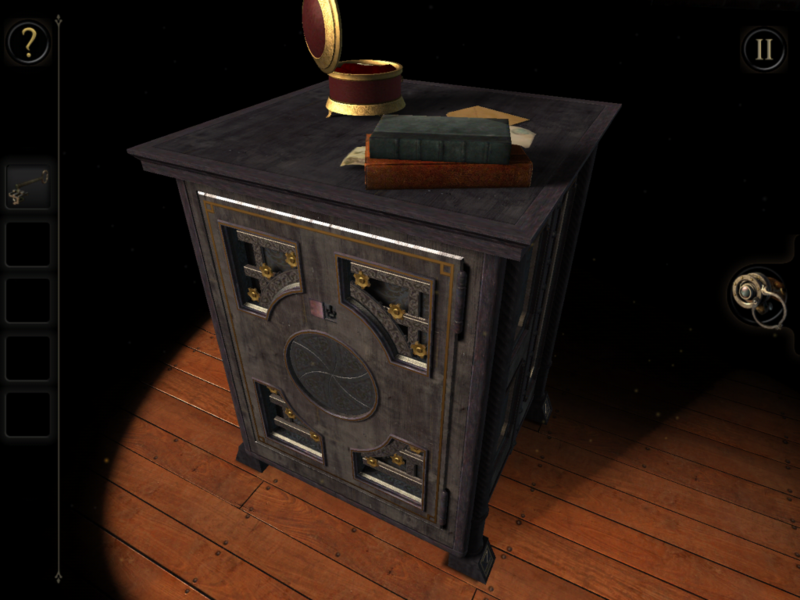 The Room feels like a superb tech demo for Retina Display devices filled with puzzles and a interesting story. This definitely comes close to the best looking game on iOS, every object in the game is designed with the highest quality and nearly every object in the game has some intractable piece to it. It’s a great show of visual power and a enjoyable experience for anyone who is into mysteries and puzzles. 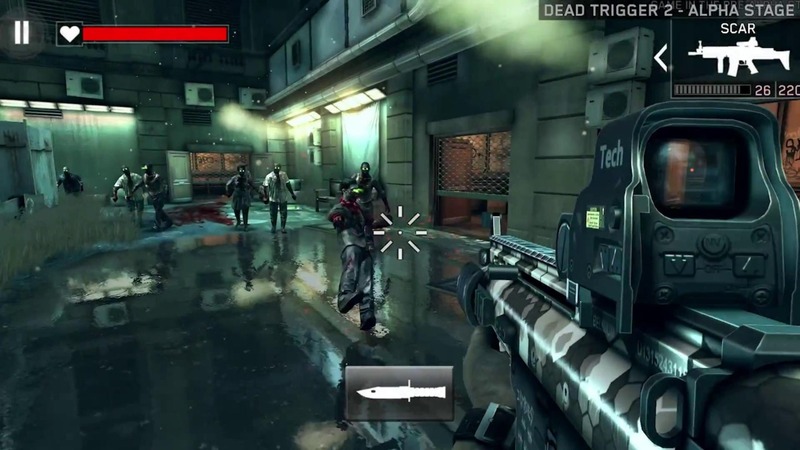 The original Dead Trigger was the very first app that I downloaded when I first got my iPad with Retina display. I was so impressed with the graphics and with how well the controls worked on the touch screen I ended staying up nearly an entire night to play it. Dead Trigger 2 to no surprise had the same affect, once again impressing with it’s gorgeous 3D shooter atmosphere and enjoyable arsenal of weapons to tear through zombies like a turkey at Thanksgiving dinner. Dead Trigger 2 provides a free to play atmosphere that feels like you’re getting a fully playable game without paying a dime. Of course like most games that share this payment model, you’ll either be spending a ton of time grinding zombies or dropping some hard earn cash into the in-game shop. When I initially saw this game on the AppStore I thought it must be some kind of mobile version of the XCOM series. It is a mobile game from the XCOM series, but not at all what I expected. 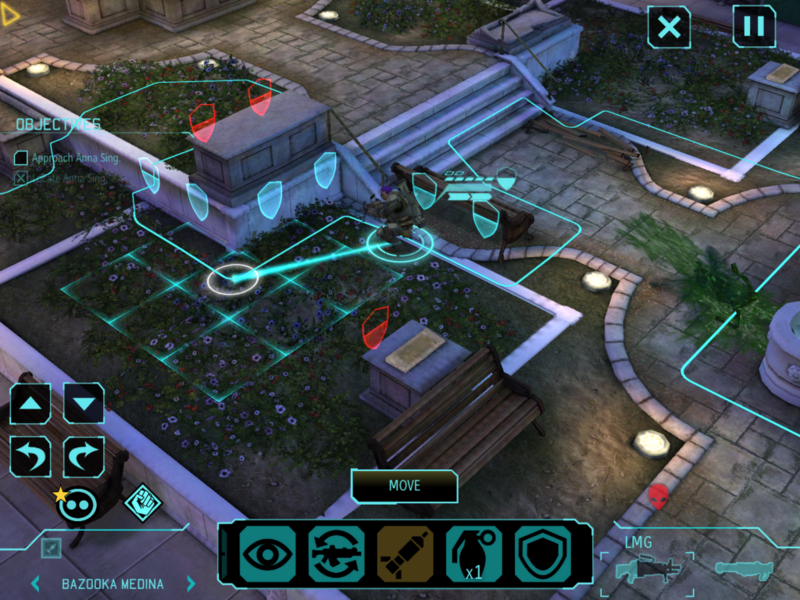 XCOM: Enemy Unknown is a perfect example of the possibility of porting games from the last gen titles. Now, the graphics aren’t quite up to par with that of a PC or console, but it’s fair to say it’s a close match. The game plays almost exactly like the Xbox 360 version. This was one of my favorite games from the last gen and now to be able to play it on my iPad without feeling like I’m getting the dumbed down version really bolsters my expectations for what kind of games will be available in the future for mobile devices. Even with a higher than normal price tag for a mobile game, you’re still getting a great deal for a excellent game. Blood Masque uses the Unreal Engine and provides the same great visual quality and borrows the basic outline of combat that Infinity Blade offers. 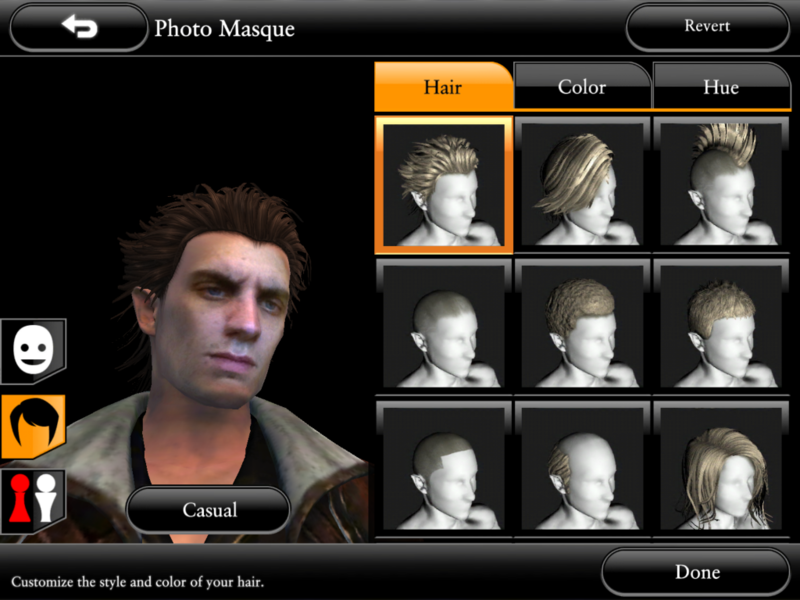 The game supports a feature that I have been wanting more games to implement for years and that is the ability to take a picture of your face and import it into you 3D character model. My expectations where completely surpassed by the vast amount of customization options you had. I was able to turn myself into a 3D character in just a few minutes and it looked great when I was done. The implementation of this type of face model also makes NPC’s look extra detailed. Though the combat isn’t nearly as impressive as Infinity Blade it makes up for it with it’s robust online community, additional RPG elements, and the ability to free-roam areas. 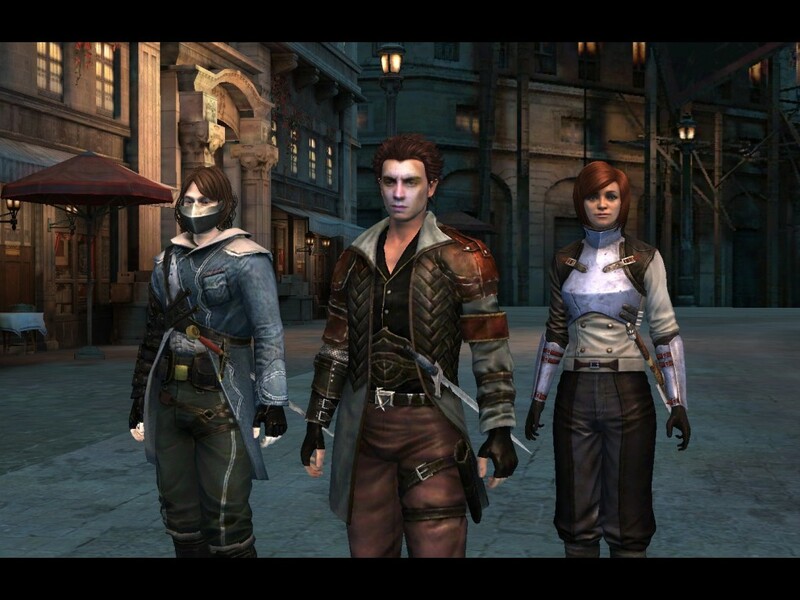 This title is almost worth getting just to watch yourself slay vampires in a visually astounding iOS game. 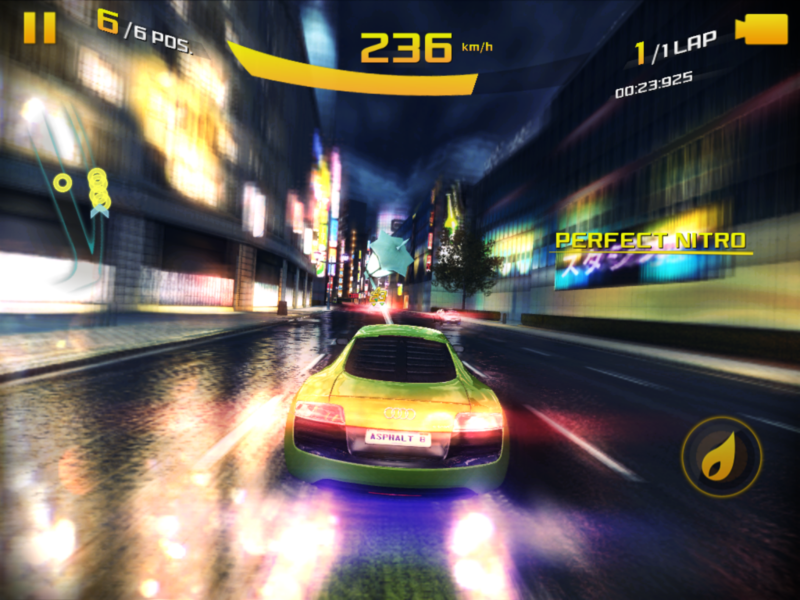 The Asphalt series has always pushed further on improving visual display on the iOS and Asphalt 8: Airborne is no exception. I’ll give you two examples, reflections and backgrounds. It’s outright outstanding how well the sun reflects off the pavement and when you’re car is on display in the garage the reflection of the glass like tile piece is just outright impressive looking. The back drops during races are also a sight to see, it’s very interesting how they seemed to pull it off, because the backdrop doesn’t look like a traditional rendered in 3D background. It’s some sort of 3D bending parallax display, if you think of how the new background in iOS 7 works, it displays similarly to that, but even better. The game sports a more unrealistic driving mechanic, but with the stunning graphics and the over the top game play it’s a good choice to have listed on your app screen. 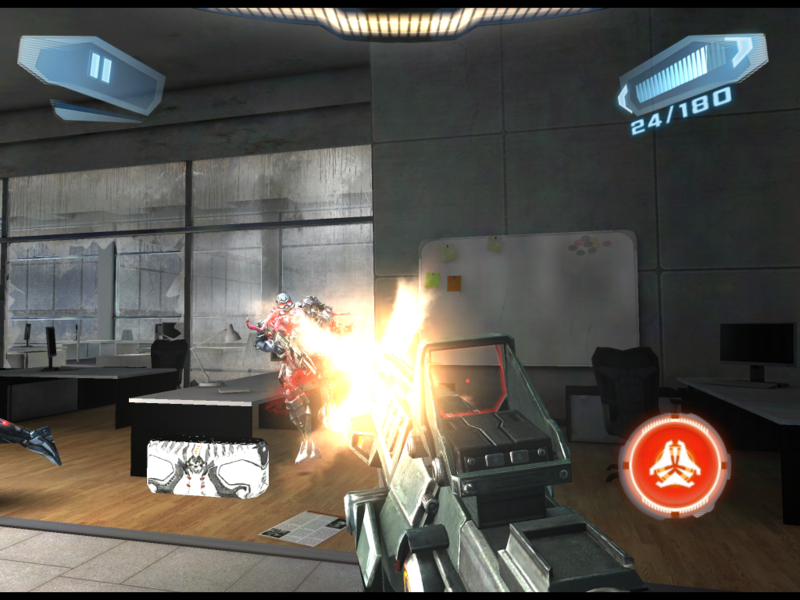 I remember playing the first N.O.V.A game on my 2nd generation iPod touch and being blown away at the excellent visual display and controls for a first person shooter on a mobile touch screen device. N.O.V.A 3 blows away any feelings I had with the initial title. The game has two different visual modes that you can play with, one that uses the full Retina display giving you a crystal clear picture and the other which adds plenty of visual effects like smoke rising from the barrel of your weapon after firing it. This was a great feature to have, because it allowed iPad 2 users to experience the game as well. It’s also another title that just shows how great games can look on the iPad, some even say that it’s almost comparable, if not better looking that some of the earlier Xbox 360 shooters. Honestly, that’s not too far of a stretch either as this game feels complete with a full-length single player campaign and a full featured multiplayer that plays excellent and looks amazing. This game made the list not because of it’s ground breaking 3D graphics, but for its innovating artistic quality that has inspired a slew of games that borrow from the visual design idea. Superbrothers Sword & Sorcery is a point and click adventure with a 8-16bit style display that truly amazes. The unique art style and sound is what makes this odd adventurous game so enjoyable to watch. If you’re into the Indie genre of smart artistic pixels and just want to enjoy some great music while playing, along with an easy to control adventure puzzle game, then this title is just what you need. 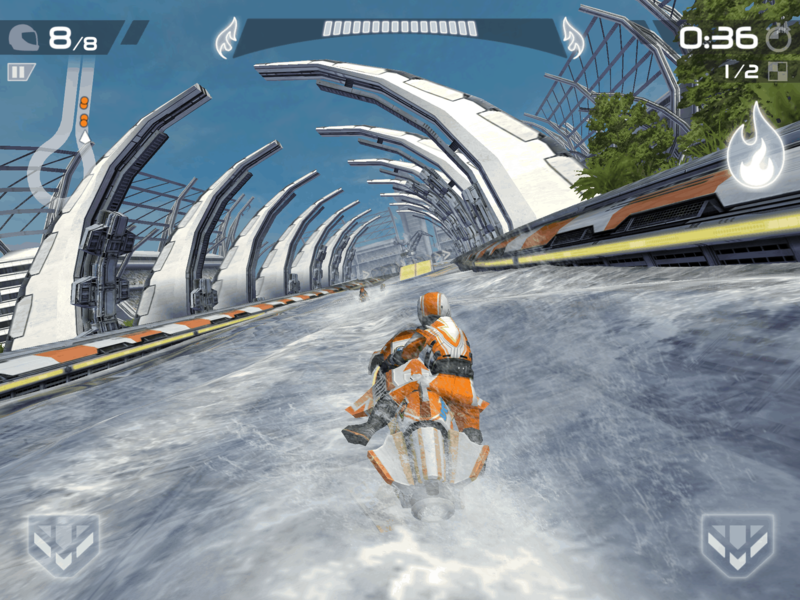 Riptide GP2 is another title that does well to make good use of Retina Displays ability to make water shine visually. The game sports fairly high quality textures, but can sometimes look awkward with one modeled fan in the stands while the rest around him are just a flat smashed texture. For the most part the environments look great while you’re riding the water, it’s only when you’re stopped or slow down that you notice the imperfections. Where the game shines is exactly where it needs to, with water and jet skies. The waves within the water feel realistic and add a lot to the visual quality when racing. If you were a fan of the old Jet Moto video game, this one is sure to tickle your fancy. The second installment of EPOCH to me doesn’t really do much to improve on the visual quality, but more so on functionality. The game plays like a 3rd person shooter that’s semi on-rails. You’re able to freely move side to side and find cover, but you won’t move forward until your path is clear. I don’t really see EPOCH as having the visual crispness on Retina display like some of the other titles on this list, but that doesn’t mean it doesn’t deserve a spot on the list either. 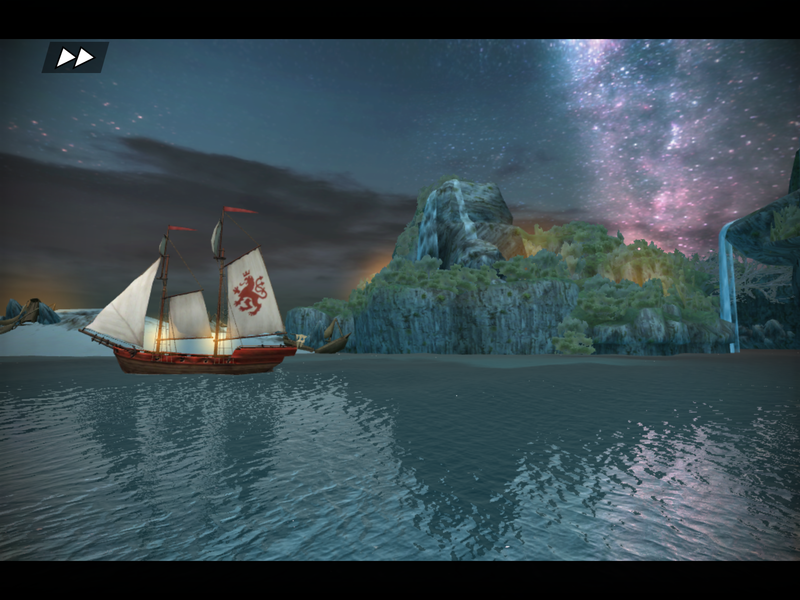 The 3D engine plays well and it certainly still a high-end looking game for iOS. With yet another installment of the Assassin Creed series released, it’s not too surprising that we’ve also received a mobile installment of the game. It focuses on the Ship Sailing Pirate aspect of the game, rather than the traditional hidden blade assassin, but how does it stack up visually? Textures and images are very clean and colorful with the Retina Display. The story board is played out in a comic like fashion and it looks about as clear as it gets. As far as the gameplay’s 3D environment, the water is outright amazing. It looks nearly as good as it does on the console versions of the game. Land and Boat textures on the other hand seem fairly dated, though the lighting in some areas does well to improve visual quality. A match of great looking detail in some areas and poor textures in others on the same screen prevents this title from being placed higher up on the list. I only added games that I have used myself so that I don’t just take the word from another author. Here are some other notable mentions that I haven’t had the pleasure of trying out myself, but each have received good praise on high quality graphics or visual appeal. Be sure to let me know what you think of the games listed in this article and which ones you think should have made it on the list. Also, let me know which of these games or even one not on the list you’d like to see a review for and I’ll be glad to produce. As always, stay classy mobile gamers.